Although it was a bleak showing in the second half of the season for BU, Odero’s emergence was a bright spot for the team. 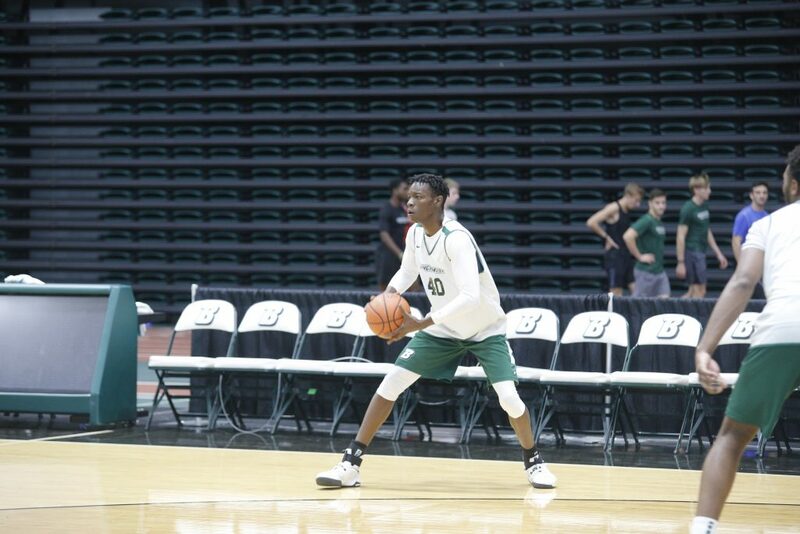 Ineligible to play during the first semester, he spent the time practicing with the team, preparing for his Division I career and hoping to contribute to the team when eligible. Prior to his arrival at BU, Odero was no stranger to the Southern Tier. A native of Oneonta, he began his high school career at Oneonta High School. He played his senior year at St. John’s Catholic Prep in Maryland, where he helped his team win a state championship. In recognition of his success, he was named to the All-Maryland First Team. Odero made his Binghamton debut last season on Dec. 22 against LIU Brooklyn. Over the course of the season, he appeared in 11 games, coming off the bench in all of them. He logged a season-high 14 points against eventual conference champion UMBC on Jan. 24, as well as double-digit performances against Elmira and UMass Lowell. With the rotation already set and other players established in their roles, joining a team at midseason is a challenge for anyone, but Odero made every effort to take advantage of the opportunity. Averaging just 7.3 minutes per game in 2017-18, Odero is expected to see a significant boost in playing time this season. With the experience of last year under his belt, Odero is set for a much bigger role this season. One of the team’s most reliable wings, Odero feels much more confident heading into this season. Confidence is key, and to have a relatively seasoned player who has not yet reached his peak is exciting for the team. But there are areas in which Odero has been working on during the offseason. He believes that in order to better support the team’s style of play, improving his shooting is pivotal to his success. With a new-look roster filled with newcomers, Odero is poised to have a breakout season. After struggling mightily last season, particularly during conference play, the Bearcats are looking for players to step up and help the team win games. Odero has high aspirations for making an impression, both on the Bearcats and on the conference as a whole. “I just want to make sure that the America East knows I’m here,” Odero said.